bit-x-bit’s experienced team of lawyers and certified computer forensic examiners are actively involved in our industry and the communities we serve. Here are some highlights of how we are striving to make a positive impact. Today from 12:00 PM — 1:00 PM, please join bit-x-bit's Vice President Joseph Decker, Esq. and E-Discovery Services Manager Maggie West, Esq, and Catalyst's Thomas C. Gricks, III, Esq., for "Practical Guidance on Data Management & Handling your Legal Holds." The program will focus on the evolving law of legal hold and preservation obligations. Please join bit-x-bit, opentext and Catalyst for an E-Discovery Happy Hour on Thursday, March 28. The event will take place between 5:30-8:30 p.m. at the Rivers Club Pittsburgh. This is a fun way to connect with local people who can help reduce the total cost of discovery and optimize review spend. Please RSVP to Joe Sinchak at jsinchak@catalystsecure.com or 518-332-9422. The first 2019 Friends of E-Discovery meeting will take place on Thursday, March 7th, at noon in the Jury Assembly Room on the third floor of the Federal Courthouse. This month’s meeting will feature a program titled “Outsmart That Smartphone!” The program includes 1.0 PA CLE credit, available to attendees for a $10 administrative fee (checks preferred) to the Women's Bar Association of Western Pennsylvania. Lunch at this month’s program will be provided through the generous sponsorship of bit-x-bit. Please RSVP to Tammi Harding (tamara.harding@klgates.com). In the Lawyers Journal, "bit-x-bit marks 10 years as an endorsed ACBA partner" by Mark Higgs. bit-x-bit, LLC today announced that it has become a CIS SecureSuite member. Through this membership, bit-x-bit is further bolstering its cybersecurity defenses by leveraging CIS SecureSuite resources that include CIS Benchmarks, consensus-based, internationally recognized security configuration resources, including CIS-CAT Pro, and CIS Controls, a set of cyber practices, developed by experts around the world, to stop today’s most pervasive and dangerous cyber attacks. bit-x-bit’s President and Director of Digital Forensics Brett Creasy and Buchanan Ingersoll’s Jaime Tuite, Esq. will be presenting at the 2018 Employment Law Institute West on November 14, 2018. Their presentation, “The Collision of Confidential Employer Information and ESI: Safeguarding Confidentiality in the Expansive World of E-Discovery,” will examine how employers can protect confidential information and best practices for protecting this information, including preservation and retention strategies, confidentiality policies and employee exit protocols. "E-Discovery and Text Messages: Recovering, Authenticating, and Admitting Texts as Evidence"
The Pittsburgh Business Times recently published the top 20 Cybersecurity Organizations in Pittsburgh and bit-x-bit is ranked in the top 10. For the complete list, see the July 20-27 issue of the Pittsburgh Business Times. bit-x-bit’s cybersecurity services include on-site incident response, analysis of data breaches and privacy violations, malware reverse engineering, vulnerability scanning, security awareness training, data loss prevention recommendations, and more. Join Catalyst for a webinar Q&A on technology assisted review (TAR) and continuous active learning (CAL) with E-Discovery experts Tom Gricks and Andrew Bye. “Cyber Breach and Incident Response: Help from the Experts” by bit-x-bit’s Brett Creasy, President and Director of Digital Forensics and Buchanan Ingersoll’s Matt Meade, Esq., was recently published in the Pittsburgh Technology Council magazine TEQ. The article discusses how best to prepare for a potential cyber-incident and what types of incidents we see most often. bit-x-bit’s President and Director of Digital Forensics Brett Creasy and Senior Account Executive Ron Blackwood will be presenting at the 18th Annual ALM SuperConference for Corporate Counsel in Chicago, Illinois on May 22, 2018. Brett will be speaking on the Cyber and Data Security Panel, and he and Ron will also be presenting “The Value of Analytics in Litigation and Internal Investigations” at the Roundtable Session. bit-x-bit is very pleased to be a Roundtable Sponsor for the Conference. The latest broadcast of TechVibe Radio featured bit-x-bit’s Brett Creasy, President and Director of Digital Forensics and Buchanan Ingersoll’s Matt Meade. Brett and Matt spoke about top cybersecurity tips and key steps to take if you think your company has been hacked. bit-x-bit’s Brett Creasy and Caitlin Counihan will be presenting at Robert Morris University’s Wheatley Atrium on Thursday, January 25th from 4:30 – 5:30 pm. They will be discussing how to handle a digital forensic investigation from start to finish, including the intake of evidence and preparing forensic images. The event is sponsored by Robert Morris University’s Top Secret Colonials. “Protect Your I.P. and Trade Secrets: The Federal Defend Trade Secrets Act” by bit-x-bit’s CEO Susan Ardisson, Esq. and Blank Rome partner Jayme Butcher, Esq. was recently published in the Pittsburgh Technology Council magazine teQ. We are pleased to announce that Brett E. Creasy, CISSP, GCFA and CCE, has been named President of bit-x-bit. As President, Mr. Creasy will be responsible for the company’s overall operations in digital forensics, e-discovery, cyber security and incident response. Mr. Creasy is a 10-year veteran of bit-x-bit, and since 2012 has served as its Director of Forensics, and a Vice President since 2013. Under Mr. Creasy’s leadership, bit-x-bit has expanded its services to include cyber security and incident response offerings. bit-x-bit's Vice President and General Counsel Joseph Decker, Esq. will be a panelist at the Defend Trade Secrets Act 2017 Update, presented by the Western District of Pennsylvania Chapter of the Federal Bar Association. bit-x-bit's Brett Creasy, VP and Director of Digital Forensics, provided insights and digital investigation strategies on the topic of "Computer Forensics in Partnership Disputes and Business Divorces," a program sponsored by the Pennsylvania Bar Institute entitled "Business Divorce - Startup to Litigation to Resolution," given on November 13, 2017 in Pittsburgh, Pennsylvania. Congratulations to bit-x-bit's Maggie West, Esq. who is now a Certified Relativity Analytics Specialist! This Certification recognizes Maggie's extensive experience using analytics in Relativity, and demonstrates her expert level of knowledge of the platform's capabilities, workflows and best practices. Maggie is expert in both Structured Analytics (including email threading, near duplicate detection and foreign language identification) and Conceptual Analytics (including concept search, clustering, keyword expansion and categorization). For more information about how to use analytics in your next review, please contact Maggie at Maggie.West@bit-x-bit.com. Cybersecurity is a critical piece to every business, but many business owners are not sure of the steps they need to take. This workshop can get you started! You will learn how to proactively protect the data that is important to your business. Your customers expect you to have secure systems - do you? What if all of your systems stopped tomorrow - do you have a back-up? Where is it stored? 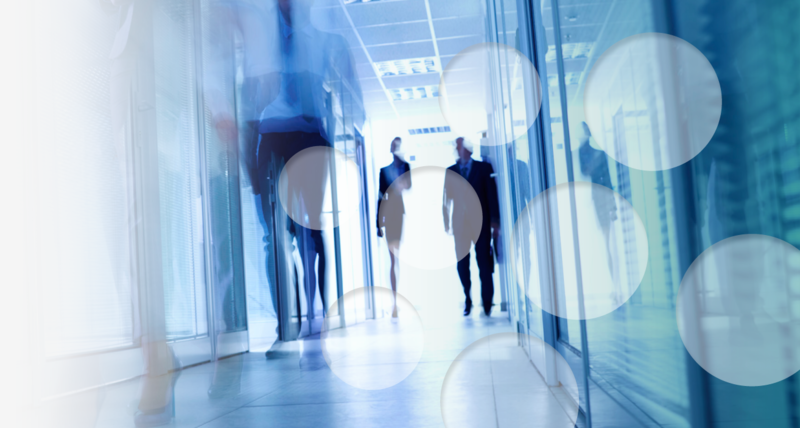 Do you train your employees to identify potential attacks? Who has access to your data in your business? We will look at these topics and give you solutions. Many are easily implemented. This workshop will take place on Thursday, October 26 from 9:00 - 11:00 am at the SMC Small Business Councils. It’s almost time for the second annual Esquire Tennis Open! bit-x-bit is a Game Sponsor for this special evening of fun and competition, hosted by ACBA’s Young Lawyer’s division on Friday, August 18 at Mt. Lebanon Tennis Center. To learn more and register, click the link below. We’ll see you there! Looking for quick access to rule amendments and court opinions? bit-x-bit sponsors the ACBA’s Court Capsules, to help you get it (http://www.acba.org/CourtCapsules). Even with recent high-profile cases emphasizing the increasing importance of text messages in litigation, the need to preserve texts is often overlooked. Joe Decker and bit-x-bit colleagues Susan Ardisson, Brett Creasy, Caitlin Counihan, and Maggie West led an in-depth session, “Electronic Evidence: Preservation, Examination and Review,” for the Summer Law Student Internship Program of the U.S. District Court for the Western District of Pennsylvania on July 13.
bit-x-bit welcomes Maggie West as its new E-Discovery Service Manager. Look for bit-x-bit at Bench-Bar this weekend, June 15-17! bit-x-bit is proud to present at Blank Rome’s “Happy Birthday to the Defend Trade Secrets Act: A One-Year Retrospective” program, which will take on April 27, 2017 from 8:00 a.m. – 9:30 a.m. at Blank Rome’s offices in Houston, New York, Philadelphia, Princeton and Washington, DC. bit-x-bit’s CEO Susan Ardisson and Vice President/Director of Digital Forensics Brett Creasy will be presenting at the next meeting of the Pittsburgh Chapter of Women in eDiscovery. Brett Creasy, bit-x-bit’s Vice President and Director of Digital Forensics, will be speaking at the Cyril H. Wecht Institute of Forensic Science and Law program titled “Digital Forensics in the Courts: A Legal and Technical Update.” The afternoon seminar will take place on Friday, March 24, 2017 between 1 – 4:30 p.m. at the Duquesne University School of Law. Other speakers include attorney David G. Ries of Clark Hill, FBI computer scientist Brian King and program manager for the National Computer Forensics & Training Alliance Adam Klickovich. Electronic discovery (eDiscovery) is the norm in today’s litigation. Understanding the basic legal and technical issues and knowing where to go for assistance with advanced issues is critical for litigators and parties. Brett Creasy to speak at program titled "Digital Forensics in the Courts: A Legal and Technical Update"
Brett Creasy, bit-x-bit’s Director of Digital Forensics, will be speaking at the Cyril H. Wecht Institute of Forensic Science and Law program titled “Digital Forensics in the Courts: A Legal and Technical Update.” The seminar will take place on Friday, March 24, 2017 from 1 – 4:30 p.m. at the Duquesne University School of Law. Check out “Securing the Digital Artifacts Important to Employee Investigations”, an article written by bit-x-bit’s Vice President Joseph Decker and published in the DRI’s In-House Defense Quarterly. Mr. Decker, and the Honorable Nora Barry Fischer, spoke about Trade Secrets at DRI’s Corporate Counsel Roundtable last month, on a panel moderated by Henry Sneath, Esq. bit-x-bit’s Joseph Decker and the Honorable Nora Barry Fischer, United States District Court for the Western District of Pennsylvania, will speak on Trade Secrets: The Old, but New Hot IP Protection at the 2017 DRI Corporate Counsel Roundtable, which will be held at Lotte New York Palace in New York, New York from January 19-20, 2017. The program is presented by DRI’s Corporate Counsel Roundtable Steering Committee and will be moderated by Henry M. Sneath. In General Monitors, Inc. v. Detectors, Incorporated and Wing Lam, Case No. 30-2-16-00865073, Judge James Di Cesare for the Superior Court of the State of California issued a preliminary injunction on November 14, 2016 against the defendants from “using, disclosing, disseminating, distributing or copying any information belonging to General Monitors” including any formula pattern, compilation, program, device, method, technique, or process relating to any product that Lam worked on during his employment with General Monitors. In CentiMark Corporation v. Executive Roof Services, LLC, Michael W. Meacham, and Eric S. Pauly, Case No. 3:16-cv-05707, Judge Ronald B. Leighton for the U.S. District Court for the Western District of Washington issued a Temporary Restraining Order against Defendants under the recently enacted Defend Trade Secrets Act , 18 U.S.C. § 1836 (2016). The TRO restrained the Defendants from disclosing CentiMark’s confidential and trade secret information and enjoined them from engaging in a competitive commercial and industrial roofing business in violation of their employment agreements with CentiMark. bit-x-bit is pleased to be a sponsor of the Lackawanna Bar Associations’ 35th annual Thomas M. Holmes, Esq. Bench Bar Conference next Friday, October 14th from noon to 5:30 p.m. Of special interest will be a presentation entitled, “Crime Online: The Investigation and Prosecution of Cyber Criminals,” by Third Circuit Judge Thomas I. Vanaskie. The event will conclude with a reception from 4:30 to 5:30. The Allegheny County Bar Association's Legal tweet service has officially expanded their coverage to include the U.S. Court of Appeals for the Third Circuit. This is an addition to the ACBA Legal Tweet Service’s already expansive coverage on the Allegheny County Court of Common Pleas, PA Commonwealth Court, PA Superior Court, and the PA Supreme Court decisions, thus providing you with the quickest and most comprehensive way to stay in the know on all matters related to court rule amendments, important court opinions, and information on local events that are relevant to you. bit-x-bit is proud to be the exclusive sponsor of the ACBA Legal Tweet Service. September 29th, from 5-7 pm in the Koppers Building to show the many ways you can use your law degree in addition to the traditional practice of law. bit-x-bit’s CEO Susan Ardisson, along with Melanie Harrington, President of Vibrant Pittsburgh, David Matthews, legal and legislative advisor for the Center for Organ Recovery and Education, and Abby Wilson, deputy director for public policy and community relations for the Allegheny County Health Department, will all be sharing their individually unique ways in which they have successfully used their law degrees to build interesting and rewarding careers outside the practice of law. This event is a wonderful opportunity for anyone who is curious about how they can chose a non-traditional legal career. A networking reception, including drinks and light hors d'oeuvres, will take place both before and after the presentation. This past Wednesday, bit-x-bit ventured to Buchanan Ingersoll Rooney to give a firm-wide presentation to over 100 lawyers on the technical aspects of electronic evidence. They presented on topics ranging from the preservation and collection process, to forensic investigation techniques and ESI protocols, as well as strategies for reducing or shifting ESI costs. What’s the easiest way to keep up to date on local court rulings, judicial opinions and more - the ACBA’s new Legal Tweet Service! Each day, the ACBA publishes a summary of the significant local court legal updates and provides the relevant links to opinions and rulings through its Twitter page, making the legal decisions that are important to you all available in one convenient place. bit-x-bit is pleased to be the exclusive sponsor of this innovative and helpful service. It's That Time of Year Again: Get Excited for the 54th Annual Bench Bar Conference at Seven Springs Mountain Resort! Susan Ardisson and Joseph Decker are lacing up their tennis shoes as they prepare to co-chair the tennis tournament at this year’s annual Bench Bar Conference at Seven Springs Mountain Resort taking place June 16th-18th. For over half a century now, the Bench Bar Conference has been a standing tradition for local lawyers and judges to come together in an informal setting to discuss the issues facing the state and federal court systems of Western PA. It is also a great opportunity to build professional and personal relationships through numerous events including, great food, sports, and entertainment. You don’t want to miss out on this-become part of the tradition today! Nothing is more important to your firm then your client’s confidential data. What would you do if all that crucial information was stolen? A data breach could spell the end of your client relationships or even your entire business. This is why PBI is offering an advanced cyber security course on June 3rd, aimed at increasing your knowledge of cyber security so that your client’s data remains safe. Our own Brett Creasy will be offering his expert advice on data collection, examination, policies and procedures for cybersecurity incidents. If you want to learn how to manage and secure your clients data, and obtain practical tips on how to avoid a possibly devastating security breach, then sign up to attend today! The crucial evidence today is electronic, and law firm Tucker Arensberg is ready for that challenge. bit-x-bit will be providing expert advice to help the firm expand its knowledge of electronically stored evidence. We will be presenting to Tucker Arensberg on electronic evidence, e-discovery, and the new Defend Trade Secrets Act. bit-x-bit’s CEO, Susan Ardisson shares insights on cybersecurity in the workplace through PNC’s bizwomen journal. To learn about the most prevalent cyber-attack faced by companies, and how to protect your company, clients and employees, check out http://www.bizjournals.com/bizwomen/channels/pnc/2016/04/cybersecurity-are-you-inviting-in-hackers.html. Brett Creasy will guest lecture at Carnegie Mellon University on cyber forensics and incident response. His topic will be cell phone forensics in the private sector. bit-x-bit’s CEO, Susan Ardisson, is a recipient of by the Pittsburgh Business Times’ 2016 Business Women First Award. The women’s leadership reception and award ceremony will be held at the Westin Hotel on March 2. 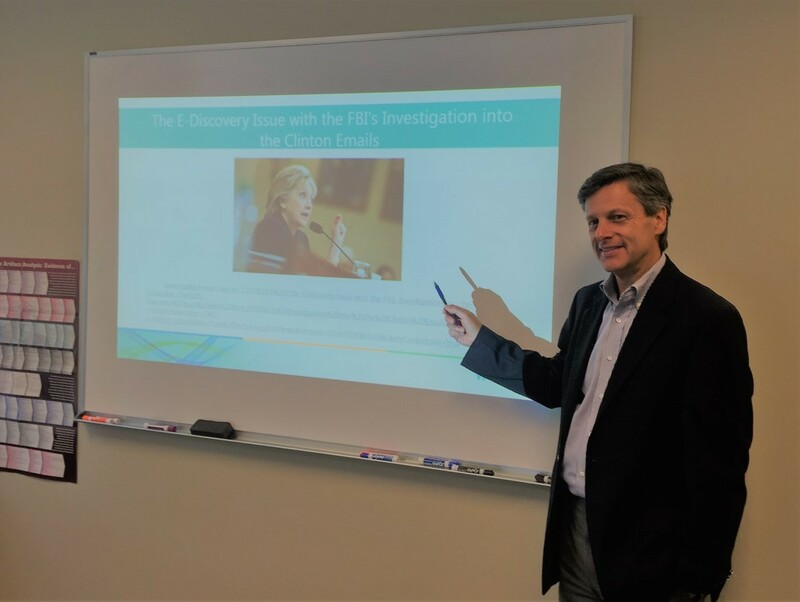 On February 24th bit-x-bit’s Joe Decker spoke to Pitt's Advanced Legal Research Class on the analysis and use of digital forensic evidence. He analyzed court cases where digital evidence was outcome-determinative. The class is taught by Professor Linda Tashbook. bit-x-bit Vice President and Director of Digital Forensics Brett Creasy spoke to members of the Information Systems Security Association (ISSA) in Pittsburgh on December 4. He provided an overview of computer forensic practices and areas of examination to uncover evidence of the theft of confidential business information. bit-x-bit has added Nuix to its suite of e-discovery processing and analysis tools. This market-leading software enables bit-x-bit to process and analyze data faster and more efficiently, resulting in cost savings for its clients. For the PA State System of Higher Education’s (PASSHE) Technology Day hosted at Slippery Rock University on July 21, bit-x-bit’s Susan Ardisson, Joseph Decker and Brett Creasy spoke about “Electronic Evidence: Preservation, Examination and Security.” The trio covered topics including the legal obligation to preserve ESI, preservation methods and techniques, examples of what a forensic examination can reveal, processing and searching ESI, and incident response and security. Susan Ardisson and Brett Creasy presented “Electronic Evidence: Preservation, Examination and Review” to the U.S. District Court for the Western District of Pennsylvania Summer Law Student Internship Program, speaking about topics including authentication of electronic evidence, forensic examinations involving trade secret theft, social media evidence and the use of technology/analytics to reduce costs. Congratulations to bit-x-bit’s Solutions Architect Clinton Field, Esq., on his election to the Board of Directors of the Pittsburgh Chapter of ARMA International, an association of professionals committed to the continued advancement of the records management industry, including electronic records management. Susan Ardisson addressed students at the Urban Innovation21 Pittsburgh Promise Summer Internship Kick-Off Event at Point Park University on May 28. Pittsburgh Promise, a program led by partners Catalyst Connection and Urban Innovation21, offers regional manufacturers local college interns at no cost. The students, who are recipients of the Pittsburgh Promise Scholarship, gain valuable industry experience while supporting manufacturers’ efforts to implement business improvements. bit-x-bit, LLC, is pleased to announce that it has once again received the exclusive endorsement of the Allegheny County Bar Association (ACBA) to provide computer forensics, data loss prevention and e-discovery consulting services to the ACBA’s more than 6,500 members. Jury awarded the plaintiff $950,000 in compensatory damages and $12.5 million in punitive damages, making the verdict one of the largest ever returned in the 25-county federal Western District of Pennsylvania. Clinton Field authors ACBA Lawyers Journal article "Implementing an Information Governance Program"
Article explains how organizations can reduce the volume of stored data to mitigate security and privacy risks. bit-x-bit and solutions4networks have been selected by Allegheny County to provide network security and data forensic services to the county under a three-year contract. Brett Creasy served on a panel during "Forensic Fridays: A CLE and Professional Education Seminar Series" at Duquesne University’s Wecht Institute of Forensic Science and Law on January 16. Program topics included social media and the courts, privacy, discovery, admissibility and the role of computer forensics in social media.